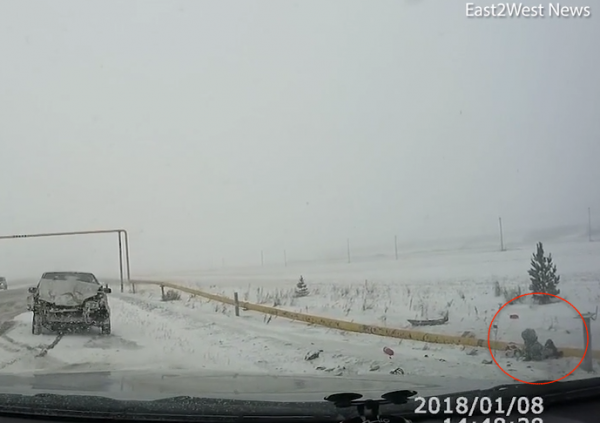 The moment a child was thrown through a car window, surviving a head-on collision with only minor injuries, has been captured on dashcam footage in Russia. The child’s mother had driven the wrong way down a road in Plast, Russia, according to the Daily Mail, and panicked. 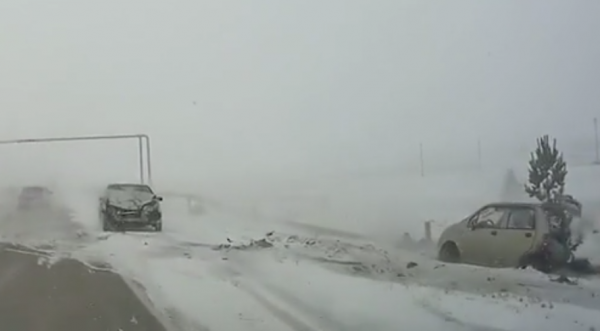 The footage shows the vehicle losing control in the distance, then, as the camera approaches, scattering other vehicles as it plows into oncoming traffic. The car, a Daewoo Matiz, can be seen hitting a Lada head-on, spinning both cars off the road. According to the Daily Mail, which obtained the footage, the child was thrown through the car windscreen. 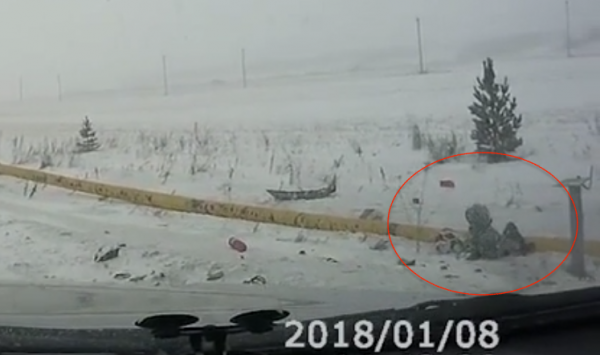 As the driver slows at the scene of the accident on the road in southwest Russia, a child can be sitting on the ground and moving around on the snow. The driver can then be seen getting out of the car before he went to check on the mother and child. According to the Mail, one witness said that the child had a broken nose, and the mother suffered bruises. They were both taken to hospital in an ambulance that arrived seven minutes after the crash. Dmitry Toshin, whose dash cam filmed the crash, which occurred on Jan. 8, told the Mail that the driver of Matiz car was a woman. He said that the two occupants of the Lada, both wearing seatbelts, were uninjured.